What sets Chula Vista Water Parks apart from all the others in Dells is the amazing scenic location. What a smart move it was by the Kaminsky family when they chose a location snuggled in the sandstone bluffs overlooking the beautiful Wisconsin River! The name itself, Chula Vista, meaning “beautiful views,” will capture the nature lover’s interest. With this waterfront location, you are miles from bumper to bumper traffic, and welcome to enjoy the beautifully designed indoor and outdoor water parks sprawled over 500 acres! They have over 600 suites, condos and villas with easy access to the water parks. When you are greeted by the front foyer area, you immediately know this will be a home away from home. Chula Vista Wisconsin Dells has a very comfortable but elegant southwest rustic décor that all blends together creating a very relaxed and inviting entrance area. I love animals, so the wildlife displayed here and there throughout the Chula Vista was fun and enjoyable to see. I’m sure there is a story behind every taxidermy displayed! 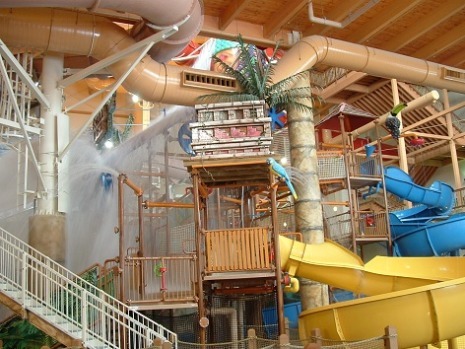 Wisconsin Dells is the water park capitol of the world, and Chula Vista Wisconsin Dells has one of the larger indoor and outdoor water parks in an area. It also offers one the best steak houses in Wisconsin - Kaminsky Chop House. As part of the Kaminsky family’s ongoing expansion, they also offer a huge indoor sports event facility. With their “all inclusive” option package, your drink, food, and water park tickets are all included with your overnight lodging … so check it out! Guests can also purchase ticket passes for a day at the water park without an overnight stay. The resort itself offers every amenity you could want or imagine. My husband and I love to settle in at Chula Vista Wisconsin Dells for a few days; and take in the waterparks, relax in the gigantic “hot springs” outdoor hot tub, walk the paths along the river, eat on site, and never leave the premises…who would want to? So much to do, so little time! What is your idea of the perfect family vacation? Is it lounging in the warm sun by the pool and being pampered, getting back to nature, or riding a water roller coaster in the wild theme park adventure? Chula Vista Wisconsin Dells offers the best of all worlds with more activities like Spa del Sol, Cold Water Canyon golf course, jet boats, a party barge along the Wisconsin River, games and arcade and of course, the 200,000 sq. ft. of indoor and outdoor thrills and chills at the water parks. 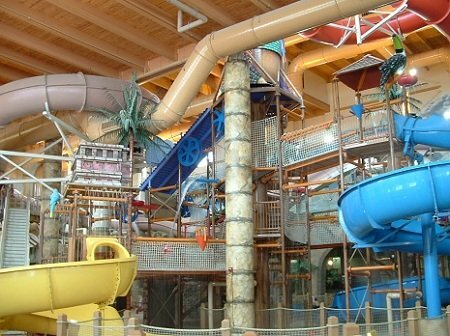 The indoor water park at Chula Vista Wisconsin Dells is designed with multi levels and 80,000 sq. ft. of pure fun for all ages. Two things of importance I noticed right away that will be comforting to you. You can see your children almost everywhere because of the waterpark design, and, the lifeguards are very alert and attentive to their posts! The fastest and longest ride at the indoor water park. I got completely hooked on this ride, and the boys rode it all day long. The brand new 48 foot tall and 268 foot long Cyclone is the tallest water coaster in America. Can you believe it? This is a ride you don’t want to miss because even the faint at heart will fall in love and ride it over and over. It swirls and whirls you all the way down in a thrill ride, hang on to your hat! Personally, I’m a fan of relaxation, so kicking back and enjoying the ride was exactly what I did. Who doesn’t like riding a lazy river with an adorable granddaughter on your lap? Look out below because this huge play structure will dump its giant bucket of 500 gallons of water all over you. The interactive deck of slides and other gadgets to play with are a blast as well. And the best part, you get to do all of this while pretending to play in an impressively designed rainforest. If you want a good chuckle, just watch as young kids and even adults try to cross while hanging unto a rope above. It’s like something you see on reality television and sometimes you wished you had brought along your video cam to send into America’s Funniest Home Videos! And, although it looked like fun, I knew I’d be a fool to walk the walk! Okay, so if you have a need for speed, then grab a mat and enjoy. It is such a fast race that I’m not sure your competing against one another or time. Is for those who like to twirl around in a giant bowl ride until you settle in and…ops! Fun for all ages, especially our boys! Also located in this rainforest water park are the Ruby Run Tube, Emerald Express Tube Ride, Python Plunge Speed Slide and Canyon Rock Ruins area of waterslides. As you can see, there is something for EVERYONE here in the indoor Lost Rios Water Park. As an added feature, and catering to even the very young, the kiddie area includes the Inca Tinka and the Piranha Puddle Kiddie Play Area . Our eighteen month old granddaughter loved this area. There are even locker rooms and changing areas, so they thought of everything! Of course every water park has to have food and drink so don’t worry, the Crash Landing’s Snack Bar and Grill and Sangria Maria’s Saloon , have it all. 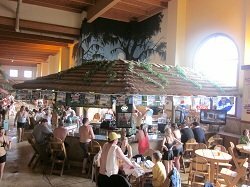 You won’t go away hungry, just maybe tired, from all the entertainment offered in the Lost Rios Indoor Water Park area. If the kiddos need a break from the water, they can enjoy playing their luck at Pesos O Plenty Arcade . They stocked some really neat games in this arcade! The outdoor water park at Chula Vista Wisconsin Dells is just as fun and exciting as the indoor water park, and has many areas to spread out and play. Adventure Lagoon is three acres or 120,000 sq. ft. of water excitement, with several amazing water slides, a wave pool, water basketball, and the kiddie river area. The ride offers a view from atop unmatched by any other slide. And, the 350 foot ride will rattle you all the way down! Adjacent to Adventure Lagoon sits a fun golf area for the family designed with ponds and waterfalls! With luxurious cabanas and comfortable lounge chairs overlooking a lovely pine forest, the Wave Pool offers cool yet calm excitement for young and old alike. You can float around and then take a break at the Margaritas Mexican Grill & Cantina for something to eat or drink. The youngest members of your family will squeal as they are blasted with unexpected water geysers and sprockets while playing all along the 6 inches deep KiddieRiver. The youngest of heart will enjoy being part of the water park adventure in this fun, interactive play area. Is water basketball your game? The Sport Pool is the place to be for you. Take on your brother, or maybe a few friends and don’t forget to put sunscreen those exposed shoulders. That way you can’t blame all of your missed shots on a sunburn! Chula Vista Wisconsin Dells is a place that offers something for everyone from tiny tot to Grandparents, winter or summer. 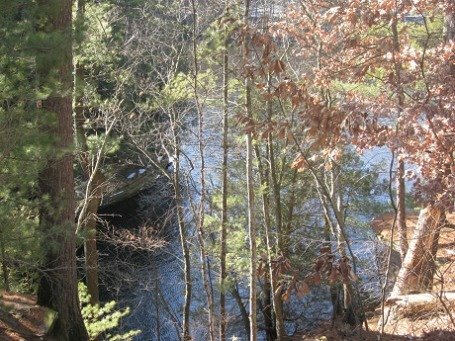 The resort is set along the banks of the majestic Wisconsin River and offers spectacular vistas of nature at its best as well as the fun and excitement of a wet and wild water park theme park. It has always been one of our most favorite vacation destinations for many years. 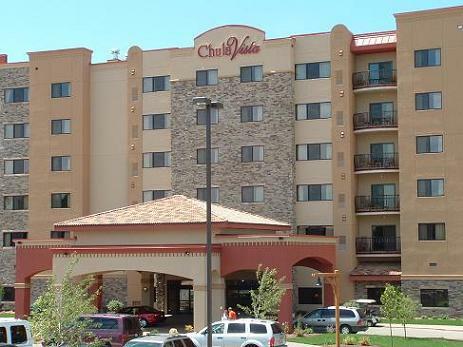 Chula Vista Wisconsin Dells offers more than 600 guest rooms, suites, villas and condos. The rooms accommodate every size family or specific reason for your stay. The amenities include televisions, fireplaces, balconies, microwaves, mini-refrigerators, full kitchens, and internet access. The resort at Chula Vista Wisconsin Dells has several dining areas to choose from. They offer the all you can eat buffet, snack and sandwich areas, order out pizza, sports bars, a dinner cruise, and of course the ultimate, Kaminski Brothers Chop house. Spa del Sol has several professional treatment salons and offers manicures, pedicures, tanning, full-body treatments, facials, various massage therapies, including deep-tissue, and hydro-therapy. Just outside from the Spa del Sol on the river side of the resort is a large outdoor hot tub called “Hot Springs”. We used the hot tub on a winter night in January. It was very romantic as (mid week) we had the pool to ourselves. You can just imagine the scene with the steam rising off the water and a fire in the large outdoor fireplace just a few yards away. All we were missing was a beautiful night time snow fall…next trip! The outdoor hot tub is available from 3 - 10:00 p.m. You can rent robes or plan ahead and bring your own (and pool shoes), as the pavement gets cold! There are numerous activities planned for the entire family to enjoy such as bon fires and hayrides. They also offer the Cactus Kids Corral for fun activities for the younger group. At check in, ask for the weekly activities calendar so you can plan your day and night activities! There is an exercise room available with a nice variety of machines and a water cooler! Directly adjacent to the Chula Vista Wisconsin Dells is the Cold Water Canyon Golf Course. The course has taken on a complete new design that literally re-sculptured the landscape. This Wisconsin Dells golf course offers 18 challenging holes, a full driving range, the option to walk or rent a cart, full club rentals, PGA golf instruction, and a re-designed clubhouse. Great packages are available for group outings. The front nine plays through woods and river canyons from elevated tee boxes on a links style course with bunkers, moguls, and water hazards. The second nine is more of a Scottish style course with moguls, bunkers, rolling terrain, grassy knolls, and natural areas. The course has a very nice Northwood’s style clubhouse with a restaurant featuring great sandwiches and a traditional Wisconsin Friday night fish fry. The Wisconsin Dells Center attracts a variety of large sports events, conventions, and expositions. With 90,000 sq. ft., it is one of the largest multi-use meeting and indoor sports facilities in the Midwest. As you can see from the pictures, the interior space is completely open and has a 70 ft. ceiling. With the acquisition of NFL quality turf, the facility is now the Midwest’s first professional level indoor sports stadium for indoor football, soccer, rugby, lacrosse, and other sports. 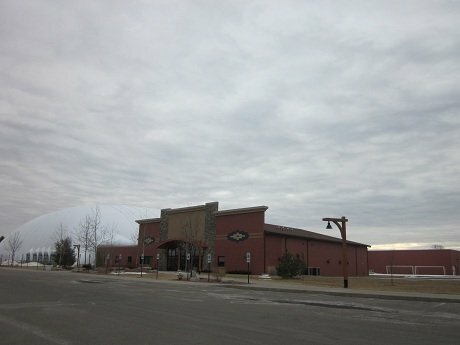 The indoor sports dome of the Wisconsin Dells Center can accommodate 16 volleyball courts, 10 basketball courts, 4 indoor soccer fields, 2 softball fields, an indoor track, indoor golf driving range, and 32 wrestling mats. From Interstate Hwy 90-94, take exit #87 at and head toward downtown Wisconsin Dells. After you cross the Wisconsin River bridge, the first stop light is River Road. Turn left onto River Road. At the "Y" in the road, stay left. Chula Vista Wisconsin Dells is 3 miles north on River Road. Check in is listed as 4 pm. or as rooms becomes available. However, we try to arrive early and use the water park until the room is ready. Checkout is 10:30 am, but you can use the water park until later in the day.